You can bag a tan and swim in warm ocean at lots of places, thankfully, but Aloha can only be found in Hawaii. It doesn't come in a package, but you can take it home as a souvenir. 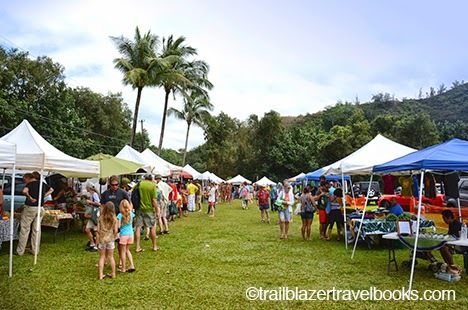 To actually see and feel Aloha, head to the far shore of Hanalei Bay, to the lush stream valley of Waipa, when (Tuesdays at 2 p.m.) locally grown exotic fruits, veggies, herbs and other fare are displayed under tents for the weekly market. Coco palms fringe the scene. 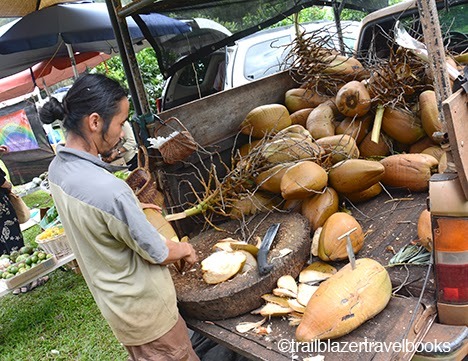 A machete-wielding coconut man will be on hand to whack one of the big nuts so you can slurp a pint of pure life juice while surveying scenery that is prime eye candy. The valley, walled in by jagged green ridges, is being restored as an ahupua'a (ah-hoo-poo-ah-ah). This traditional Hawaiian division of land has everything needed to survive on an island in the middle of the Pacific: coastal waters, a stream valley, and mountain woodlands. Hawaiians lived for many centuries without outside contact, and have the notion self-sustainable living cultivated to an art form. 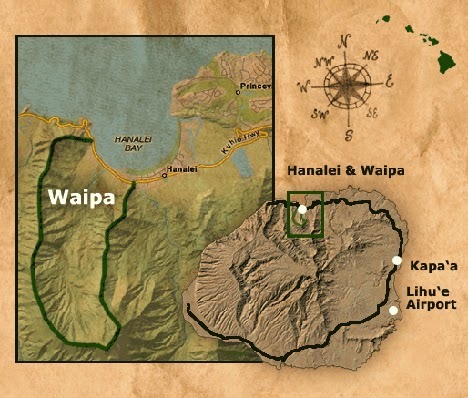 The nonprofit Waipa Foundation sponsers the market, as well as other cultural events, and leases the surrounding 1,600 acres from Kamehameha Schools. Waipa is one of the few pristine ahupua'as in the state. But the sunshine market is just a taste. 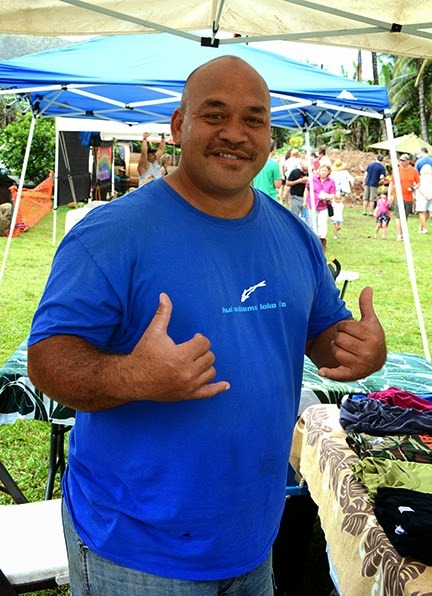 For the luau of Aloha, contact Kawika Rogers (pictured above) and others at the Waipa Foundation (http://waipafoundation.org) to learn how you can volunteer. You get a rare chance to walk into the valley with the keikis (kids) and rest of the locals to plant taro and other Polynesian staples. On site is a newly constructed Native Hawaiian learning center and community center where all who visit can renew ties to the ‘aina (land and resources), and learn about traditional values through laulima (many hands working together). Hawaiian cultural traditions teach how to live in balance with our ‘aina, restoring health to the land as well as the people who work it. Going to visit a nonprofit as a volunteer on a Hawaiian vacation is an experiental value. This one is a jackpot. Take Kuhio Highway (52) north to Hanalei (about an hour from Lihu'e Airport). Drive through Hanalei, pass the soccer field, green church and Hanalei School on left (mauka). About ¼ mile past the School cross the one-lane concrete bridge over Waioli stream. 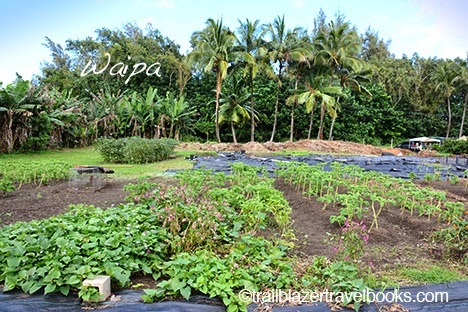 You have now entered the Waipa ahupua'a. The road bends then straightens out. See their EAST GATE immediately on the left (mauka). Enter the EAST GATE for farmers market parking or keep going 1/4 mile and get to the Waipa headquarters building. All the sights of Maui are within a day’s drive. Almost all tourists stay on the west side, either in the south in Kihei-Wailea or on the north end at Lahaina-Ka‘anapali-Kapalua. As an alternative, try a few days in low-key Hana, where most people drive through in the midday tourist train and don’t have time to appreciate this lush side of Maui. Makawao-Haiku will also appeal to visitors who want out of the main tourist zones. How much would you pay to spend the day at a huge warm mineral springs under palm trees by the blue Pacific? At Ahalanui Warm Pond Park on the Puna Coast the answer is nada, zilch, zero. This beauty about 45 minutes from Hilo is a freebie. The man-enchanced seaside pool is heated by geothermal energy to around body temperature. An underground channel from Kilauea Volcano's east rift zone provides warm water, which used to be chilly until a 1960 eruption altered the subterranean waterworks. High tide brings slightly cooler water, but the core temperature is set by Pele's (the volcano goddess) mood swings. The park's palm-shaded picnic tables are perfect for lunch. 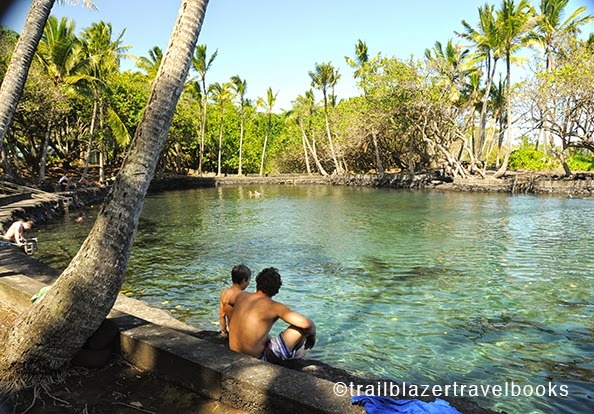 The Puna Coast offers several other warm pools, as well as one of the most scenic drives in Hawaii. This is also the area to view flowing lava. 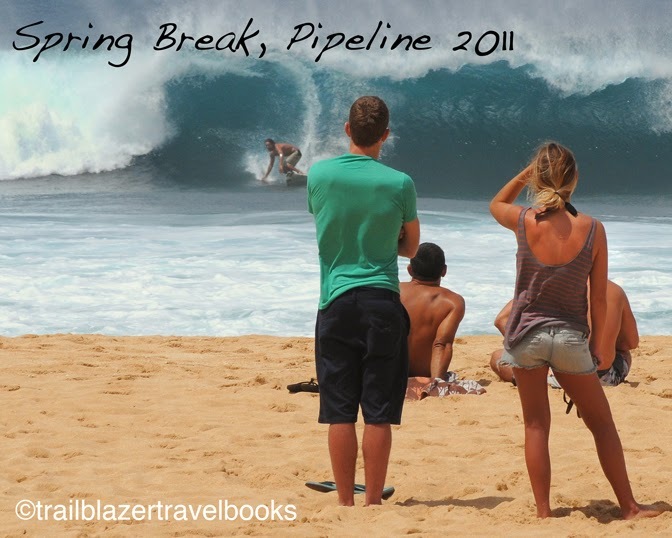 See Hawaii the Big Island Trailblazer for details, pages 156 to 162.